Rather than being recognized for their role in having helped preserved precious wildlife, Acholi people are being criminalized and evicted from their customary lands. 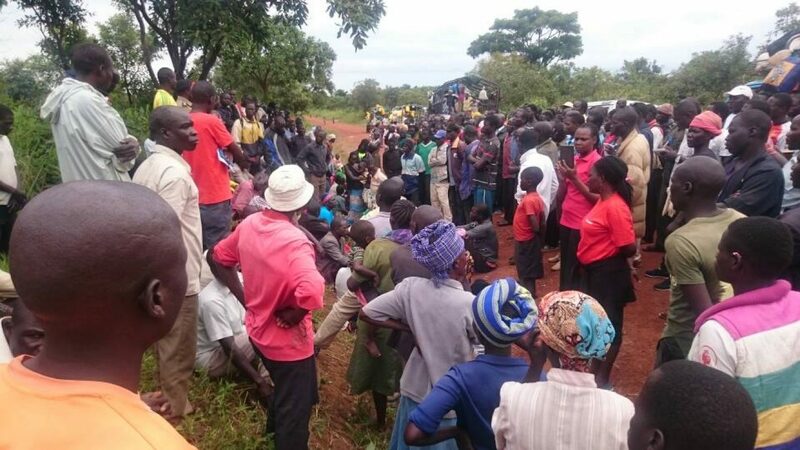 The Acholi people claim that Apaa – part of the Amuru District, a region of Northern Uganda – is their customary land, but the Uganda Wildlife Authority (UWA) says they are illegally residing in a designated wildlife area. Since 2011 the UWA has backed a series of forcible evictions, carried out by rangers, police and soldiers from the national army, the Uganda People’s Defence Force. In these evictions, soldiers have first looted items such as chickens and solar panels, then burned down the Acholi people’s huts. Civil society organizations in Uganda have found that the military have burned a total of 844 huts and the evictions have displaced more than 26,000 people. These communities depend entirely on their land. Food from farms cultivated in these areas support families and even serve as primary source of revenue for children’s education and health. After eviction, people have become dependent on food aid or face hunger. In 2017, a court declared that Apaa is the customary land of its current residents and eviction attempts must cease. But evictions have continued in 2018, resulting in harassment and killings: a man, Okello, was shot by an army officer; an elderly woman, Auma, fell and died while fleeing an eviction attempt; and a nine 9-year-old boy went missing when soldiers entered his village and is now presumed drowned. Two hundred have been forcibly evicted from of their land. The Government of Uganda needs to respect the court decision, cease evictions, review all boundaries and game reserves, and compensate those who have suffered losses.